The nurses at Med League frequently get calls from attorneys about patients who fell within a healthcare facility. The attorney is looking for a well-qualified nursing expert to review the case. 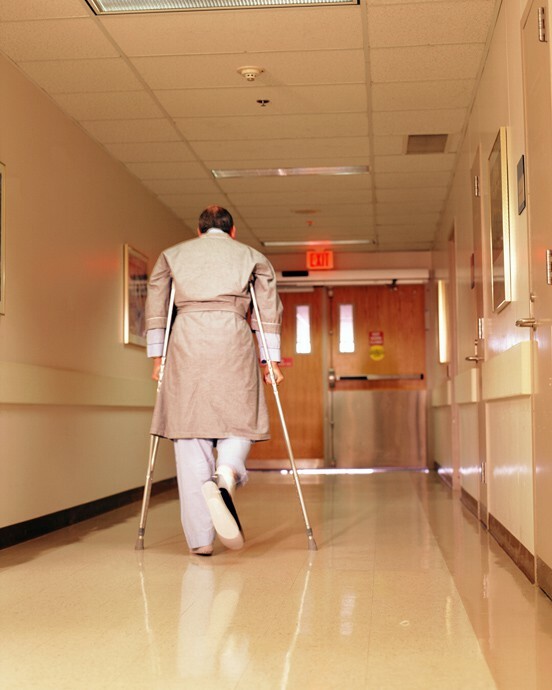 Hip fractures or head injuries are often the medical consequences of these falls. The damages are often not in question. The attorney is usually asking us for a nursing expert to determine if the standard of care was followed. The assessment of patient fall risk is the responsibility of medical, nursing, and rehabilitation staff of the nursing home. Every nursing home resident is to be evaluated with the MDS (Minimum Data Set) to identify risk factors for falls, among other things. Additionally, a facility (or chain) may have its own fall risk assessment tool and a specific policy and procedure describing its use. Most homes will have a fall assessment tool as part of its nursing or rehabilitation (physical and/or occupational) therapy admission evaluation. Note that fall risk assessment is performed as a screening measure (primary level of prevention) for all residents admitted to a nursing home facility (to detect and modify existing risks to fall), and it is repeated as part of a post fall assessment. Although there are numerous published fall risk assessment tools, there is no single tool that is considered “standard” in the nursing home. Although some falls may be isolated events, most residents who have fallen should have a thorough post-fall assessment. This is especially necessary for those with a history of recurrent falls, since a history of falls is identified as a major risk factor for subsequent falls. Discovery tip related to patient falls: Does the facility have fall risk assessment tools and separate post-fall assessment tools for evaluation of the falling older adult? An essential aspect of any fall assessment tool is the consideration of risk factors for injurious falls. See below for a list of risk factors that should prompt a thorough evaluation and plan of care. As you can see, there are multiple risk factors that affect the risk of falling. The standard of care requires the long term care nurse to consider these when assessing risk of falls. I can truly identify. My mother resides at a nursing home in reisterstown md. she has fallen several times. each time I was told by the administrator and the director of nursing “we cannnot prevent your mother from falling” she finally fell after being left on the toilet by a staff member. I called the state, they did an investigation found them at fault and cited them. my mother has not fallen since, However, after being cited they placed my mother on a very heavy medication called Tramadol which kept her drowsy and unresponsive without my knowledge. once I found out I asked the doctor to discontinue the medication and my mom was her normal self enjoying her days and the doctor said he was very threatened by my questions at which time he disassociated himself from my mother. shenow has a wonderful doctor whom I truly like and find to be a real professional. I am glad she has a concerned doctor now. Nursing Home staff are very often under paid and over worked due to understaffing. I was told by the administrator of my mother’s facility “Beverleyl we are well within the state requirements”‘ my response to her was ” well this is no different from a student who is working just enough to make a passing grade” what about being outstanding? the less people they hire the more money they save and the bigger bonus they recieve from corporate for saving money for the company, It’s all about the pocketbook. Nursing home staff have an obligation to provide safe care, or not take in residents for whom they can safely care for.